Swarm Blog: Got Movies? Android's FrameFilm Does! Think you're a moview buff? Do you know popular quotes? Can you visualize an entire movie from a single frame? 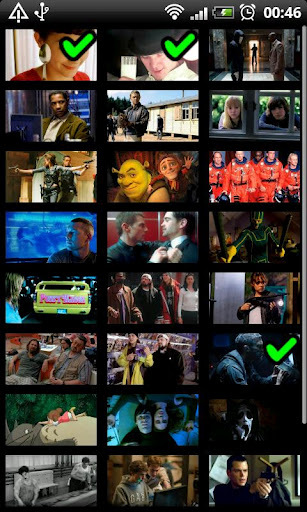 If so, then FrameFilm by developer Asturdroid (for Android) is for you. 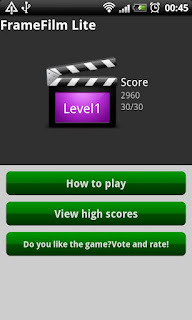 FrameFilm is a simple game in which players test their knowledge by identifying films based on just one image. Identifying more movies correctly will help players move up in rank on the global leaderboards (powered by Swarm). Play by yourself, compete with friends, or play against the planet! If you're into movies and looking for a fun way to pass the time, then look no further than Asturdroid's FrameFilm for Android.